For a list of current patchouli perfumes, scroll past our brief history. Patchouli is one of the most divisive scents in perfumery as it’s very unique, making it quite distinguishable within a scent. It was first unveiled to western culture as a very secretive additive to oriental fabrics, where it had been used for as a moth repellent for decades. This industry trick led to Europeans associating the smell of patchouli with genuine quality products and therefore quality. In the early 1800’s with the industrial revolution in full swing, European textile manufacturing was producing massive quantities of fairly decent quality fabrics. There was only one problem, they couldn’t replicate the smell of genuine oriental fabrics. 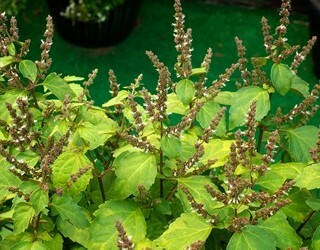 The smell of patchouli had become synonymous with that of quality. It wasn’t until 1837 that a spanish friar and botanist named Francisco Manuel Blanco figured out the cause of this alluring scent, Patchouli! This led to large scale importation of the fragrant oil as European manufacturers used the scent to give the appearance of quality. Patchouli stayed in the realm of fabrics until 1932 when Jean Carles (known for using unusual materials) created Tabu. He had a specific mandate when making this scent in that it was specifically to be made for a ‘lady of the night’ (un parfum de puta). He used the exotic and sensual natures to do just that and created an industry changing scent that is used to define that decade. Patchouli perfume remained on the fringes of fragrance until it was adopted by the counter culture movement of the 1960’s/70’s, and it was this fringe status that allowed it to explode in popularity. People involved in the movement wore it because it was a new thing that signified that they were different. It smelled like nature, earthy, musky, and rich…not something you would be able to get at your regular department store. There was a certain sense of rebellion to it, you dressed differently and now you could smell different as well. It was in this era that patchouli gained a bit of a bad rap as it was often used quite liberally and undiluted, giving it an overpowering scent. The 80’s were a quieter time for patchouli fragrances, but the scent maintained widespread use with the help of heady and sensual fragrances like Yves Saint Laurent’s Oriental Spicy fragrance ‘Opium'(1977). Towards the end of the decade patchouli had a big boost in the public consciousness in the form of Madonna’s 1989 record ‘Like a prayer’. The record was released with the scent of patchouli imbued into the packaging. This was done with the intent of reminding people of the free spirit of the 60’s. Just like most fashion, patchouli’s popularity cycle runs in 20 year cycles. It’s currently in the middle of one of these cycles and most major fragrance labels carry at least one patchouli perfume. Released in 2007, this scent is still one of my favorite patchouli fragrances. In typical Tom Ford fashion it features a wood base with hints of incense and patchouli. This base is thickened through the middle with a light musk then lifted with some of the heavier florals in Rose and Jasmine. The top note of lime really serves to punch and brighten the patchouli base, with some light florals and coriander rounding it out. Create a custom patchouli fragrance using our on-line perfume builder. 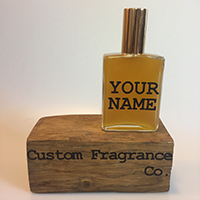 Build a perfume yourself, or speak with a perfumist on our livechat and have a custom product link created for you. 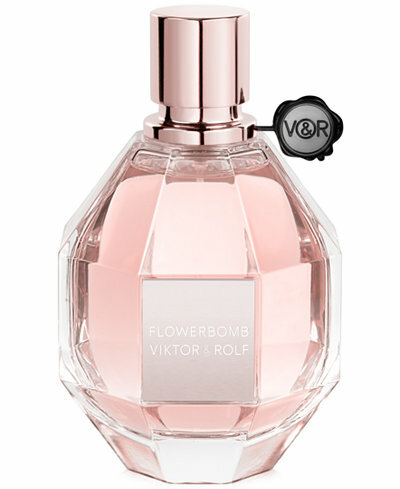 Although titled flowerbomb, the most noticeable scent in this fragrance is in fact patchouli. Extremely well blended without any of the typical hints of synthetic that you get with some floral scents. This fragrance features a base of musk and patchouli. Mid notes of orchid, rose, and jasmine. Top notes of bergamot and tea.